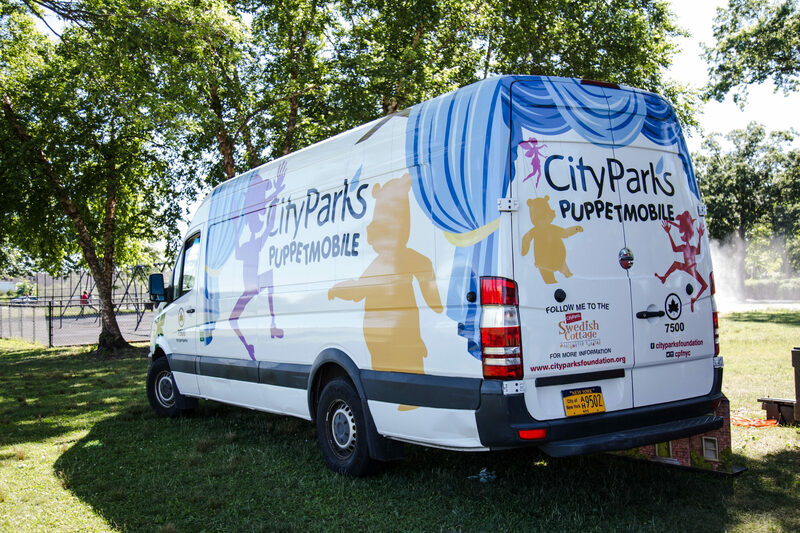 CityParks PuppetMobile, the oldest continually operating company of its kind in the country, presents free performances and puppet-making workshops in neighborhood parks, recreation centers and schools throughout New York City. During the 2019 season the PuppetMobile will present Bessie’s Big Shot. Bessie the cow dreams of joining the circus. But can she lift more than Ziegfried, the strongest man in the world? Fly on the trapeze high above the crowd? Come root Bessie on in this variety show as she attempts the impossible and searches for her special talents. All PuppetMobile performances are free of charge and open to the general public. No reservations are necessary. City Parks Foundation and the PuppetMobile are committed to serving neighborhoods in historically under-resourced areas and priority will be given to performance requests in these areas. Please note that PuppetMobile performances can only take place in New York City parks, recreation centers and schoolyards. All performances must be open to the public. The PuppetMobile is not available for private functions. Summer 2019 dates are now booked for the season – check out the calendar for performance dates! Applications are still being accepting for Fall 2019 dates. Apply for the PuppetMobile now!